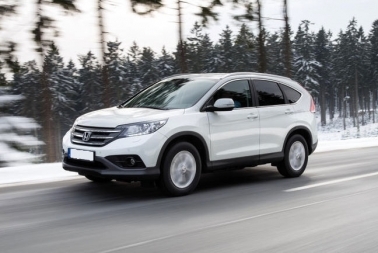 For the second straight year, Honda is the recipient of multiple 2014 Residual Value Awards from ALG, including the top honor of Best Mainstream Brand. 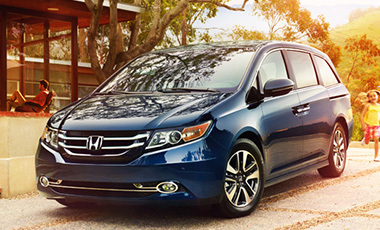 Additionally, the Honda Accord, Honda Odyssey, Honda Fit and Honda CR-V each received individual Residual Value Awards as the highest ranked vehicles in their respective segments. As the leading provider of residual value information to the automotive industry, ALG’s annual Residual Value Awards recognize automakers’ outstanding achievements for vehicles that are predicted to retain the highest percentage of their original price after a conventional three-year period. – Keep a Cold Weather Supply Kit – this includes a fully charged cell phone, warm blankets, extra hats and gloves, flashlight with extra batteries and non-perishable snacks like trail mix, granola bars and bottled water. – If possible, avoid using your parking brake in cold, rainy or snowy weather. – Do not use your cruise control when driving on any slippery surface. – Make sure the exhaust pipe isn’t clogged with snow, ice and mud. A blocked exhaust could cause deadly carbon monoxide gas leak into the passenger compartment with the engine running. – Be sure wiper blades are in good condition & windshield washer fluid is kept full. – Be sure tires are in good condition and at proper inflation for best handling in slippery conditions. – Have battery tested, to avoid a no start condition in bad weather. – Have cooling system checked for sufficient anti-freeze protection. – Do not warm vehicle up by running in a closed garage. – Clean snow off the entire vehicle, to clear your visibility and make your vehicles light visible to other drivers. – Drive slowly. Everything takes longer on snow-covered roads. Accelerating, stopping, turning. Give yourself extra time to maneuver. – Know your brakes. Whether you have anti-lock brakes or not, the best way to stop is threshold breaking. Keep the heel of your foot on the floor and use the ball of your foot to apply firm, steady pressure on the brake pedal. Above all else, check the road conditions and weather forecast. It’s always better to plan ahead and arrive safely. year end offers on new Honda vehicles. 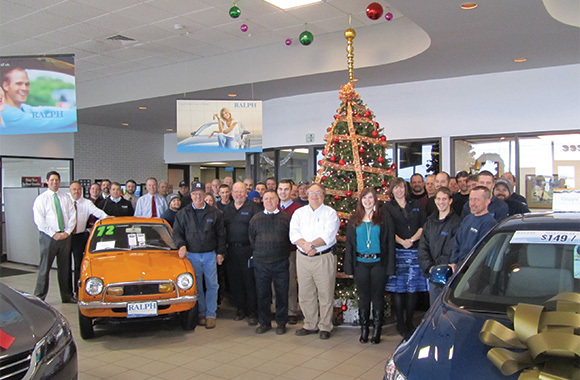 Phil Pettinato started at Ralph Honda in 1982 as the Parts Manager at 26 years of age. 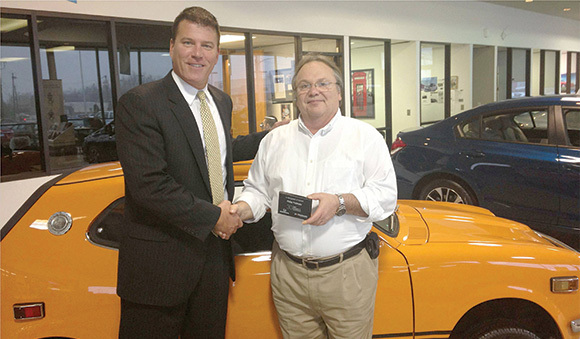 Since then, he has taken on the Safety Supervisors position and administrates the dealerships purchasing. Phil enjoys boating, fishing, hunting and is an active member of the NRA and New York State Conservation Association. During his 31 years he has transitioned through a manual parts operation and paper parts cataloging to computerized cataloging. He says it’s been challenging, but fun!